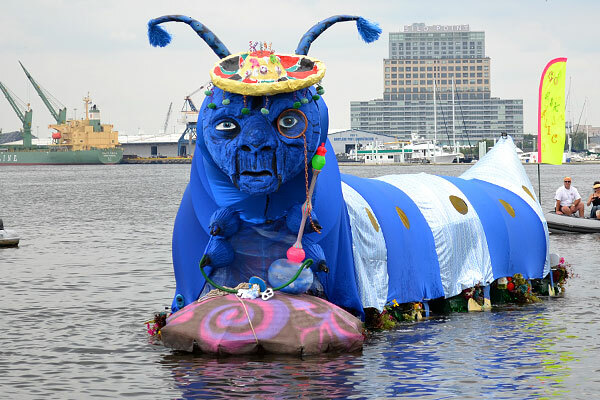 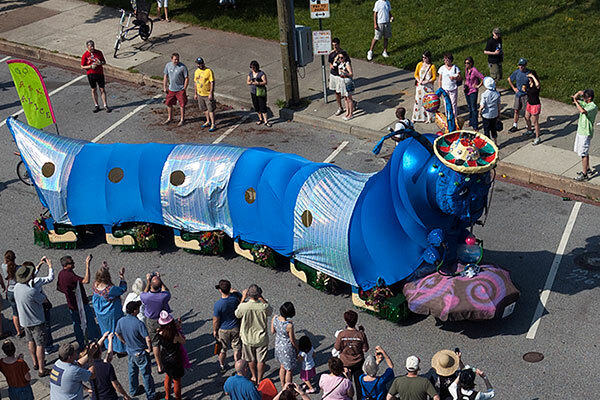 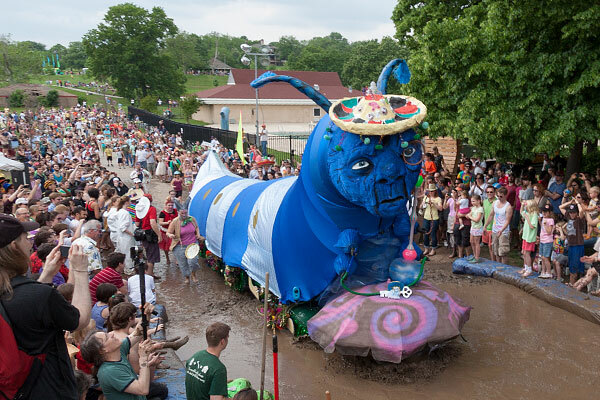 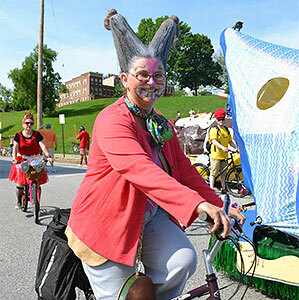 The majestic 6-pilot blue caterpillar Go Ask Alice celebrated Cinco de Mayo with a sombrero above his hookah. 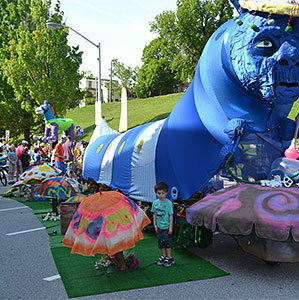 Before the race, they created an Alice in Wonderland micro-theme park near the starting line. 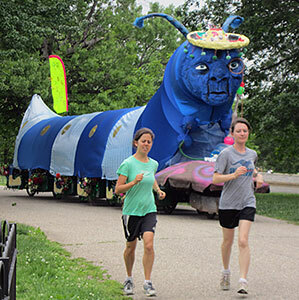 Take care jogging in Patterson Park—you may encounter a caterpillar. 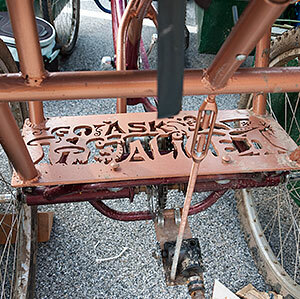 Custom plasma metal-cutting work inside the sculpture adds bonus bling.